Done! Your website is protected against any bots. 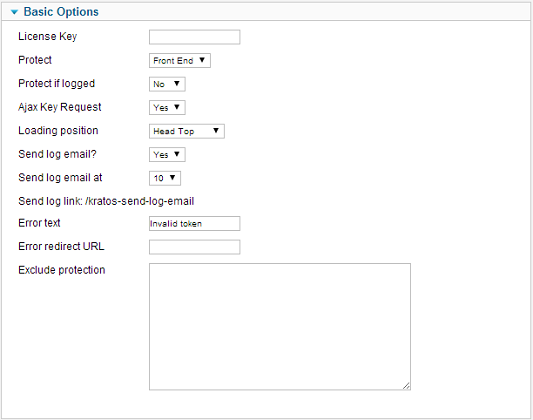 We will mimic a spam bot and try to send a form to this website, for this example we will send a post search request. Please click on "Demo" button to see what happens when a post request is protected by Kratos Anti Spam. Why do I get the "Invalid token." error when I refresh the page? Another feature of Kratos Anti Spam is to block resending the same post request, i.e. : user completes a form and sends it, and then refreshes the page, resubmitting the same request, this duplication is blocked. How do I stop protection if user is logged in? To stop protection when users are logged in, please go to plugin settings and choose "No" for "Protect if logged" setting. How do I choose which part of my website to be protected? In plugin settings you may choose to protect your Joomla website in front-end, administration back-end or both. 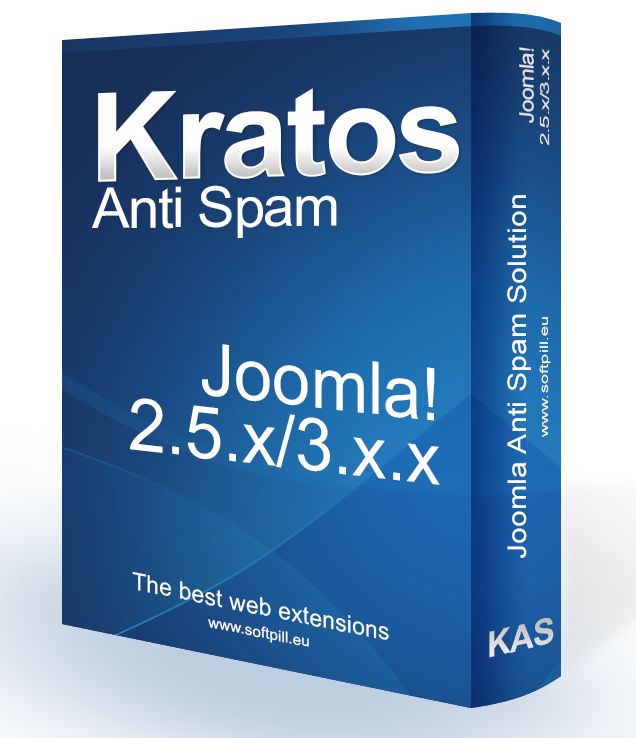 My website is slower after installing Kratos Anti Spam, what todo? If your website gets slower after installing the plugin, please go to plugin settings and set "No" the "Ajax Key Request" setting, which is default to "Yes". My website payment gateway stopped working properly. Because Kratos Anti Spam will block all POST requests that are not checked by itself, you need to add in the plugin configuration as exceptions the URLs that your payment gateway uses for notifying your website, if you need assistance please contact support. My website got broken after installing the plugin, what todo? If you require this extension in a different format, for another CMS or custom script, please contact us using the contact form. If you need help in installing, configuring or troubleshooting the extension please use the request support form by clicking here. The extension does exactly what it needs to do (integrated with Joomla 2.5). Easy to install and configure. The support is excellent - very fast and friendly. Joomla plugin, built to stop bots from sending spam through all website forms without requiring the user to enter captcha.